Hybridomas are cell fusions of splenocytes collected from mice immunized with an antigen of interest and immortalized myeloma cells. A single hybridoma multiplies into cell clones and produces a monoclonal antibody against an epitope of the immunizing antigen, and this secreted antibody can be collected and used for a wide variety of applications. 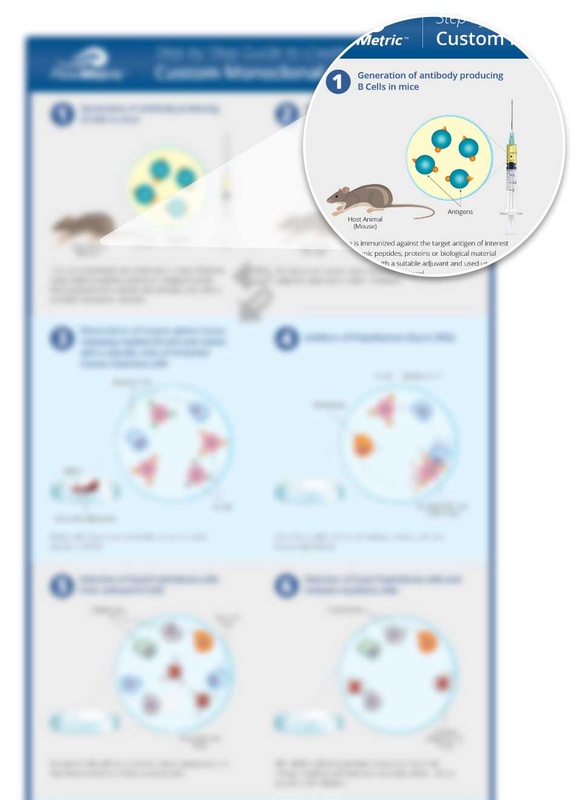 In this infographic, we have created a step-by-step guide describing the creation of custom monoclonal antibodies.